Soon, ads like these that turn away Section 8 voucher holders may not be legal anymore in the State of California. California would join nine other states and Washington D.C. in making source of income discrimination illegal by landlords. After waiting for several months or years on a waiting list to finally obtain a Section 8 Housing Choice Voucher, the final step to receive rental assistance has been a significant hurdle for many voucher holders. After receiving a housing voucher, the search begins to find a landlord that will accept that voucher. However, many voucher holders lose their voucher because they were not able to find a landlord willing to accept their voucher within the required time frame. In many cases, this is because landlords refuse to rent to potential tenants who receive housing assistance, and reject them based solely on their form of payment, a federal housing subsidy. But this unique form of housing discrimination may be coming to an end in many parts of the country. Over the last few years, there have been significant efforts at state and municipal government levels to enact legislation that makes such discrimination illegal. And this list will likely continue to grow, as America’s largest state by population may soon pass a bill to make source of income discrimination illegal. In February 2016, Senator Mark Leno of San Francisco introduced Senate Bill 1053 that would forbid landlords in the State of California to discriminate against renters specifically because of their source of income. The main elements of the proposed bill forbid landlords to discriminate against prospective tenants based on their income; instigate written or oral inquiry on a tenant concerning their source of income; and publish a notice, statement or advertisement indicating a preference, limitation, or discrimination based on income. When searching online for rentals, many advertisements can be found online stating “No Section.” If this bill passes, California landlords will no longer be able to make this statement. It is important to note that under this law, landlords may still deny tenants based on credit, criminal or rental history. However, if a landlord denies the voucher holder simply because of the tenant’s income status, that landlord could be named in a discrimination complaint. These policies protecting low-income renters have been signed into law because of the need to meet the extremely high demand of affordable housing. According to the Urban Institute, in 2013, only about 28% of extremely low-income (ELI) renters lived in affordable housing units. This figure was a steep drop from 37% of ELI renters in 2000. An example of the specific need for affordable housing in California was highlighted by housing data for Alameda County, in which Oakland is its county seat. In 2013, there were more than 19,000 available affordable housing units for ELI renters, yet nearly 75,000 ELI households in Alameda County. To visualize the difficulty in finding a landlord that will accept your voucher in Oakland, only 115 of the 609 voucher recipients, or 18.9%, in the area found a unit with their voucher in 2015. To combat this growing problem facing the Housing Choice Voucher program, some housing authorities, such as the Chattanooga Housing Authority (CHA) in Tennessee, have gone above and beyond to assist voucher holders in finding a unit. The CHA, which has seen as many as two thirds of all new voucher recipients lose their vouchers because they can’t locate a landlord willing to accept their voucher, now hosts landlord fairs. In these events, approved landlords who accept Section 8 vouchers are spread throughout a room much like a job fair. Voucher holders are given face-to-face interaction with several landlords, which eliminates much of the challenge in finding a rental unit. The proposed California policy would make it significantly easier for voucher holders to find a unit in the State of California, as landlords would not be able to deny Section 8 tenants simply because of their source of income. However, it is important that interested persons contact their representatives to inform them of how important this legislation is for low-income renters. Although the City of Austin, TX passed a law just like California’s proposed bill, it was later overturned by the Texas Senate. 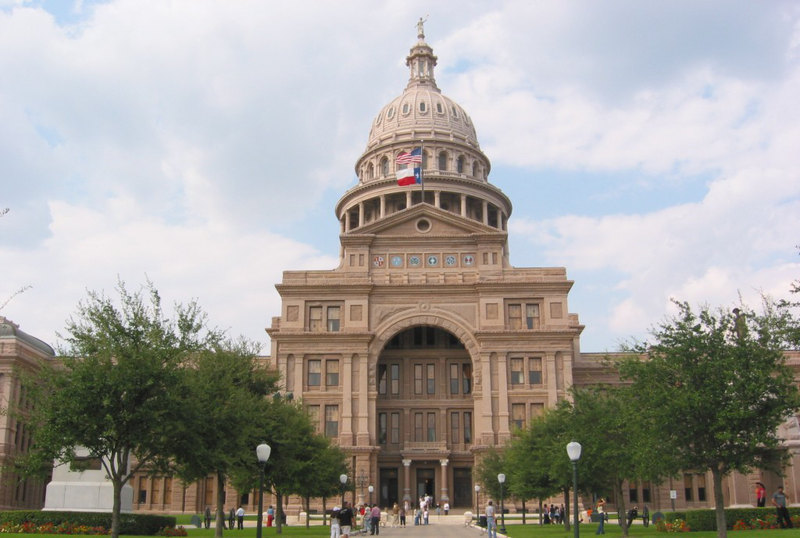 As of September 1, 2015, no municipality in the State of Texas may pass a law protecting renters from discrimination based on their source of income. If you would like to voice your opinion about this proposed law, contact Senator Leno’s office by reaching Carrie Martin at carrie.martin@sen.ca.gov. As these anti-discrimination policies become adopted in more states, perhaps soon all voucher holders throughout the Nation will have a much easier path to finding their next home.